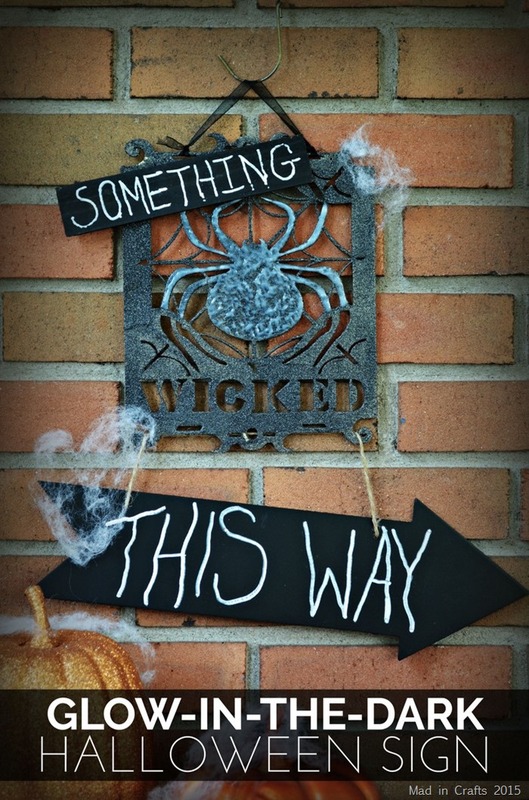 Decorating for a kid-friendly Halloween party can be tricky. 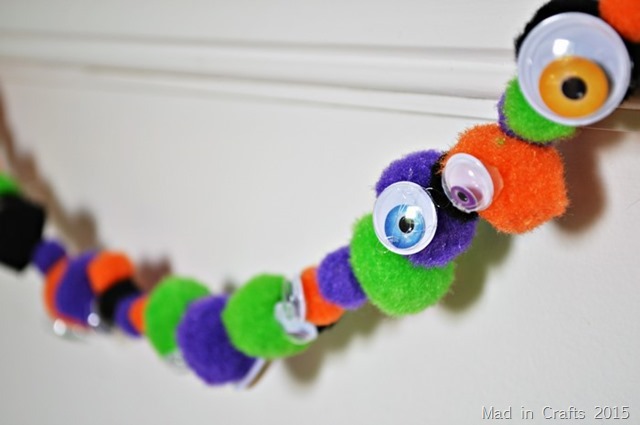 It’s best to steer clear of the very spooky and the very gory and use decorations that are colorful and silly. This googly eye Halloween pom garland is a good combination of spooky and silly, making it a perfect addition to a costume party for the younger set. 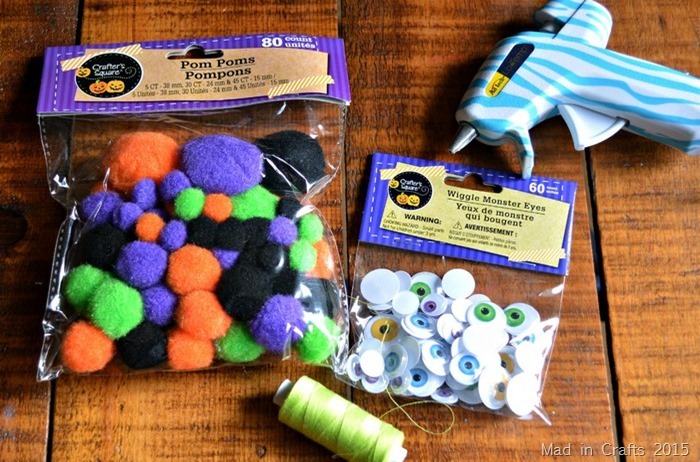 I picked up the Halloween colored poms and the colored googly eyes at Dollar Tree a few weeks ago. I doubled up bright green embroidery thread as the base of the garland, but any twine or yarn would work as well. Starting by threading a needle with your thread or twine, and string all the poms on to the thread. 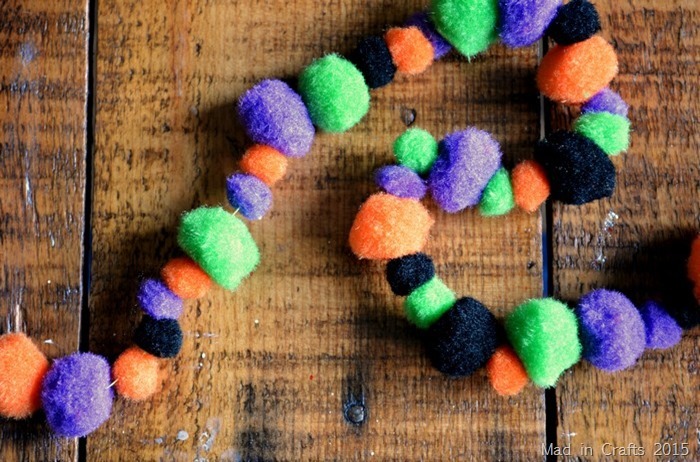 You can try to create a pattern, but I think randomly adding the poms works just as well and saves time. 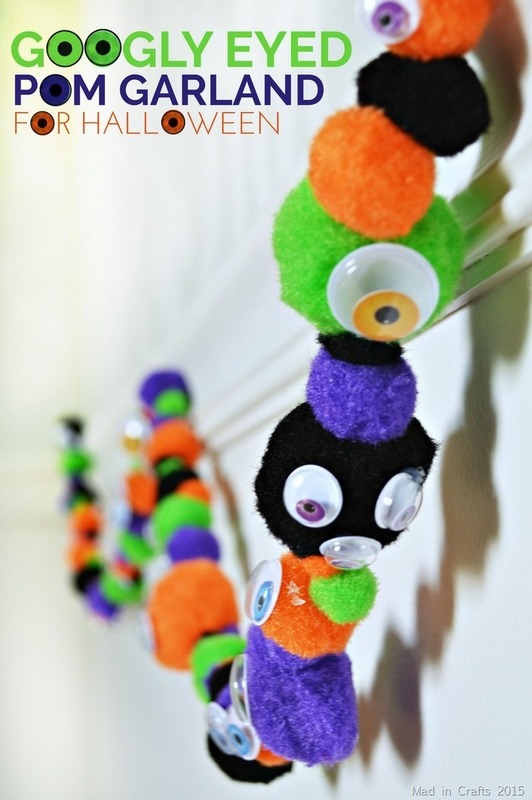 Then, use a low temp glue gun to add googly eyes to some of the poms. Some of my poms got just one big eye, while others have two or three. 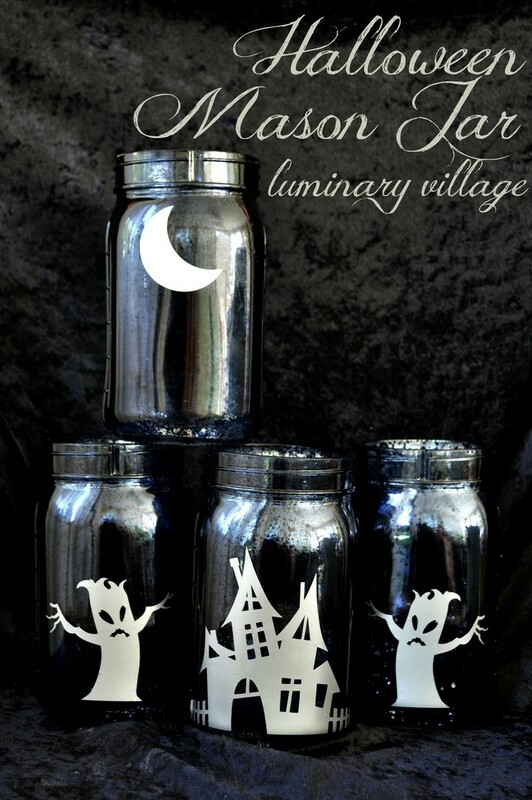 Varying up your pattern looks more spooky and fun. 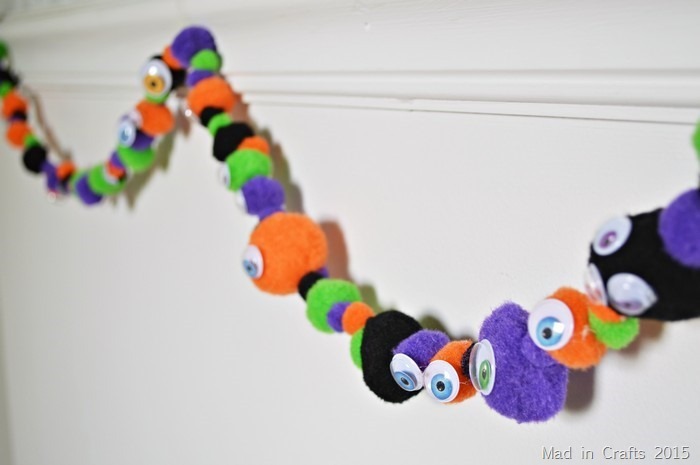 Then all you have to do is hang up your monster garland anywhere you want a little Halloween colors! What kid-friendly Halloween decorations do you put up in your house?